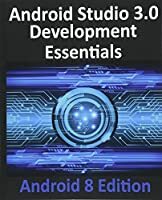 Android, the next-generation open mobile platform from Google and the Open Handset Alliance, is poised to become a significant player in the mobile device market. 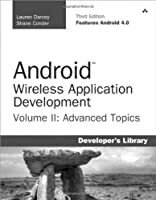 The Android platform gives developers a fair bit of control while still supporting a familiar programming language. 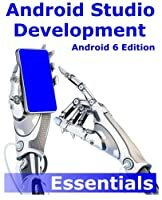 However, the frameworks, GUI widgets, and development model is different than any other mobile platform out there. 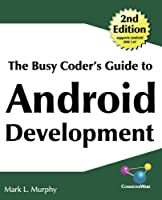 That’s where this book comes in Spanning 466 pages, The Busy Coder’s Guide to Android Development covers a wide range of Android capabilities and APIs, from creating simple user interfaces, to supporting long-running background processes, through the advanced location tracking and mapping features. 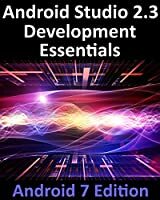 Along the way, it covers how to embed the WebKit Web browser in your application, how to have your application use data from other installed applications (and vice versa!) or off the Internet, and how to integrate with the built-in on-device search engine. 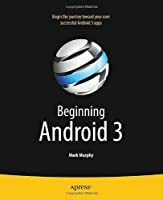 It will help you more quickly climb the Android learning curve, so you can create the “killer app” you’ve dreamed of…or perhaps just a quick-and-dirty application for you and your friends. 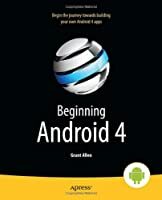 Please upload new version of this book.. After version 4.7, there have been many versions.. Now 5.8..